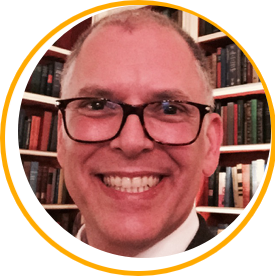 After careers in teaching, training, IT consulting, and real estate, Jim Obergefell is now an LGBTQ activist, speaker, and author. Jim is also the co-founder of Equality Vines, the first cause-based wine label that supports organizations devoted to civil rights and equality for all. Jim is the named plaintiff in the landmark Supreme Court case Obergefell v. Hodges, a decision that brought nationwide marriage equality to the United States on June 26, 2015. Jim and his husband John launched their legal battle with the State of Ohio to demand recognition of their lawful marriage on John’s impending death certificate. John died of ALS three months after their first court hearing, and Jim continued the fight along with more than thirty other plaintiffs from four states. Since the ruling, Jim has continued his work as an activist and as a speaker with Keppler Speakers. Jim co-authored the book Love Wins with Debbie Cenziper, a Pulitzer Prize-winning journalist with the Washington Post. Love Wins is about the lovers and lawyers in this historic Supreme Court case, and it was published by William Morrow/Harper Collins. Temple Hill Productions. Fox 2000 bought the movie rights to ‘Love Wins’ and will produce a feature film based on the book. Jim is a member of the Board of Directors for SAGE, the nation’s oldest and largest organization devoted to advocacy and services for elder LGBTQ Americans. Jim is also a member of the National Advisory Board for the GLBT Historical Society. Jim has been honored with awards from organizations such as Equality Florida, Equality North Carolina, the ACLU of Southern California, Cleveland Stonewall Democrats, Trinity College (Dublin, Ireland), the National Gay and Lesbian Chamber of Commerce, SAGE, the Ohio Democratic Party, the Santa Clara University School of Law, the National Underground Railroad Freedom Center, the City of Cincinnati, and more. Foreign Policy magazine named Jim one of its 2015 Global Thinkers, and Out magazine named Jim to its 2015 Out 100 list. 2:08 Jim and John’s first non-date, that lasted nearly 21 years. 5:18 And then John’s third neurologist concurred with the first two on the diagnosis of ALS. 7:27 June 26th. Remember this date. 10:42 They decide they wanted to get married, but John was on hospice care, they weren’t able to get married in Ohio — how in the world do you figure all that out? 16:25 They got married on a Thursday. The following Tuesday Al Gerhardstein (a civil rights attorney) cane to their house and pulled out a blank death certificate. 19:14 Believe it or not, there’s a silver lining to losing a federal court case. 25:36 The transition from accidental activist to purposeful activist. 27:19 What better thing to do than stick it to the federal government?! 32:13 I wasn’t sure Clarence Thomas showed up for the hearing. And then RBG stuck it to all of them. 34:21 Friday June 26th, 2015 – did you remember that date? 36:34 Did we win? Did we lose? 45:12 Those courts exist for situations — where someone’s rights are being denied. 49:43 What’s Jim up to now? 55:07 The way any one of us can have life, liberty, and the pursuit of happiness is if we all do.